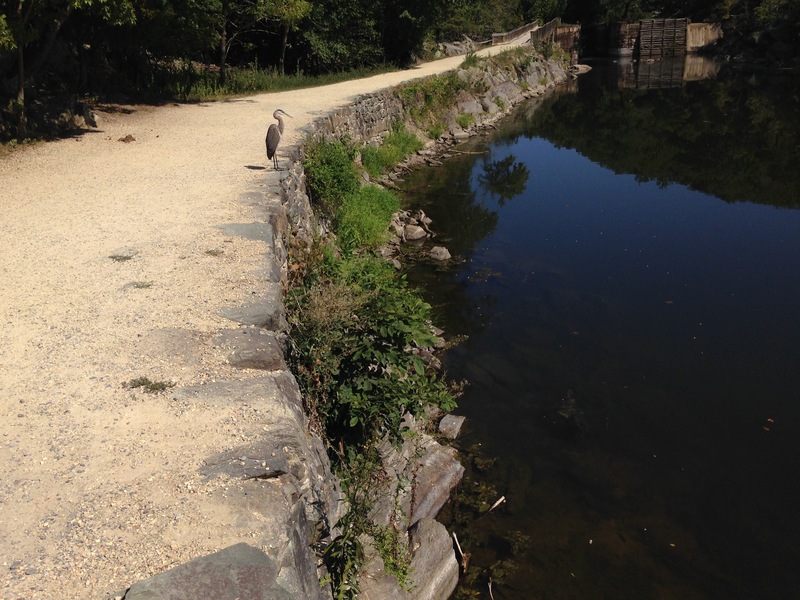 From far above the river I saw this great blue heron standing still on the rocks below. It was right on the river’s edge, waiting patiently for a passing meal. I carefully made my way down over fallen tree limbs and loose rocks. As I got closer I would stop occasionally and make a few photographs. After about five minutes I’d edge myself closer and wait and shoot some more. Then scoot a little closer still. I eventually got myself into a good position about 15 to 20 feet away. 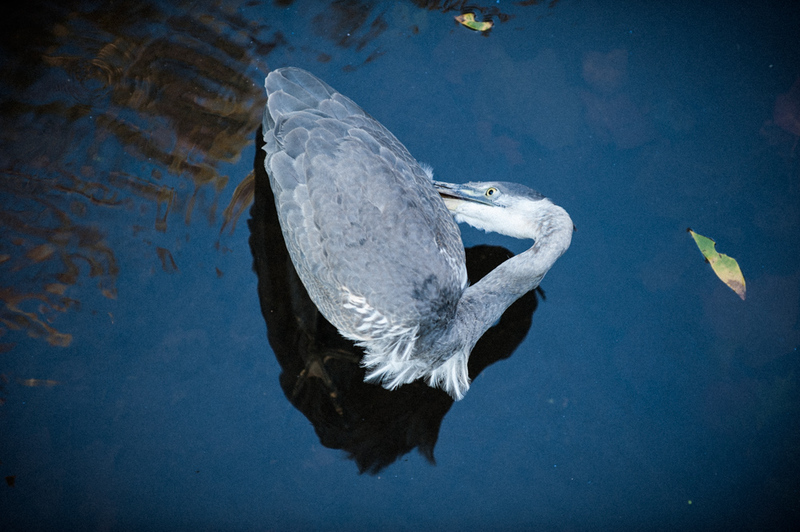 From the moment I first saw the heron I imagined a photo of a good size fish struggling in that stiletto beak. I waited over an hour, sitting uncomfortably on solid rock, hoping for the bird to snag a catfish or bass from the water. There were several attempts, yet each came up empty. From my perch above I could see the occasional shadow of a fish swim by, but the heron either didn’t see it or it was too far out of reach to even try. At one point another heron landed nearby. It was apparently just a little too close for comfort and this one chased it off. Then as it made its way back to its fishing spot I made this shot. 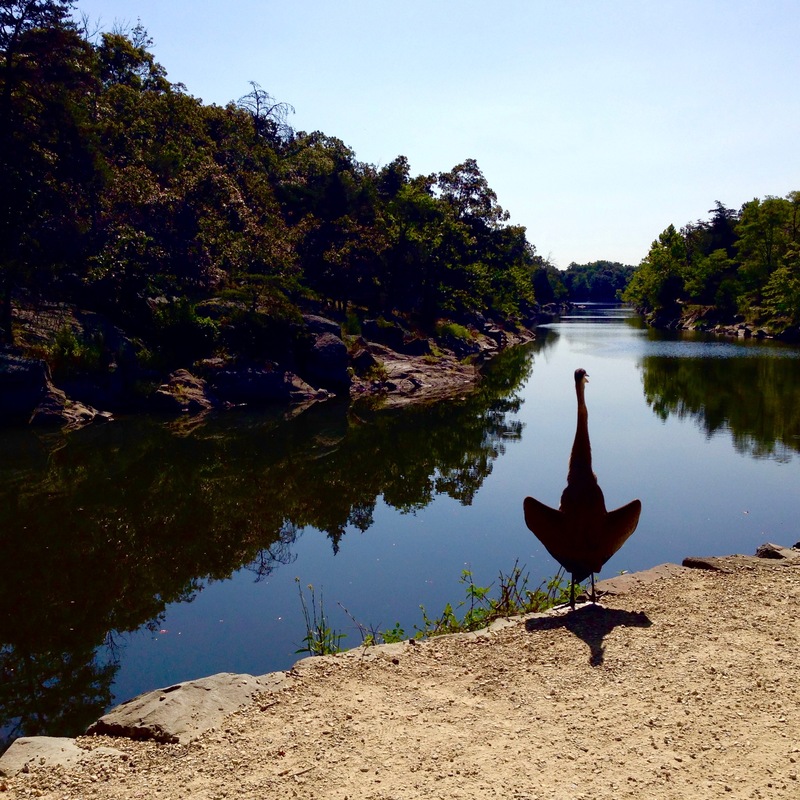 Ultimately, other obligations made it impossible to stay any longer so I never got the fish-in-beak shot. But I’ll be back. And so will the herons. I’ll get the shot. Just going to take some patience. Sometimes the image you hoped for doesn’t materialize. But that shouldn’t mean you come away with nothing. 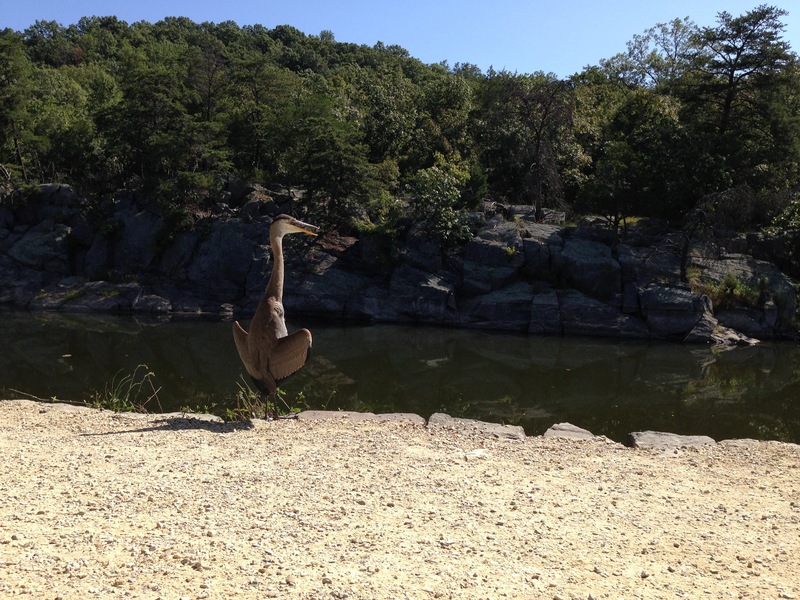 Great Blue Heron, C&O Canal NHP. 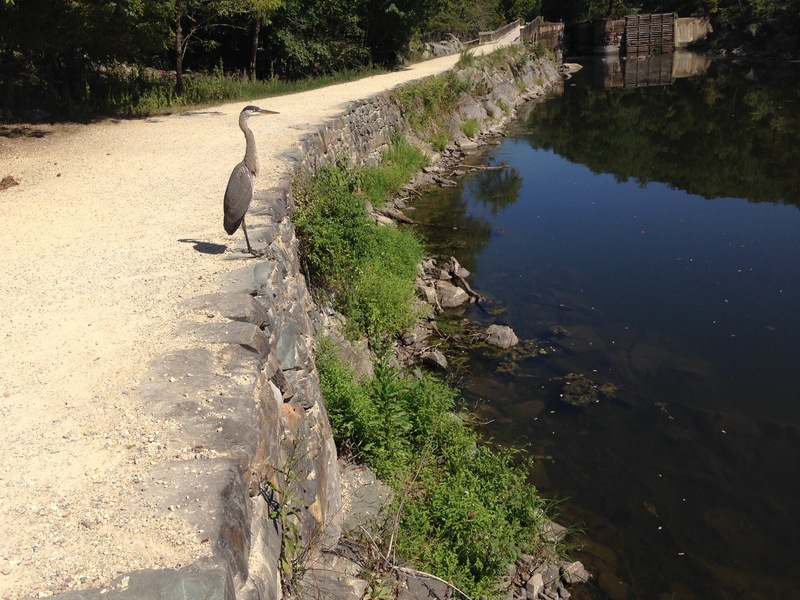 I photographed this young great blue heron the other morning in one of the locks at the C&O Canal National Historical Park in Potomac, Maryland. Preening helps keep feathers in tip-top condition; realigning feathers for better aerodynamics, removing parasites and spreading secreted oils to each feather for waterproofing. 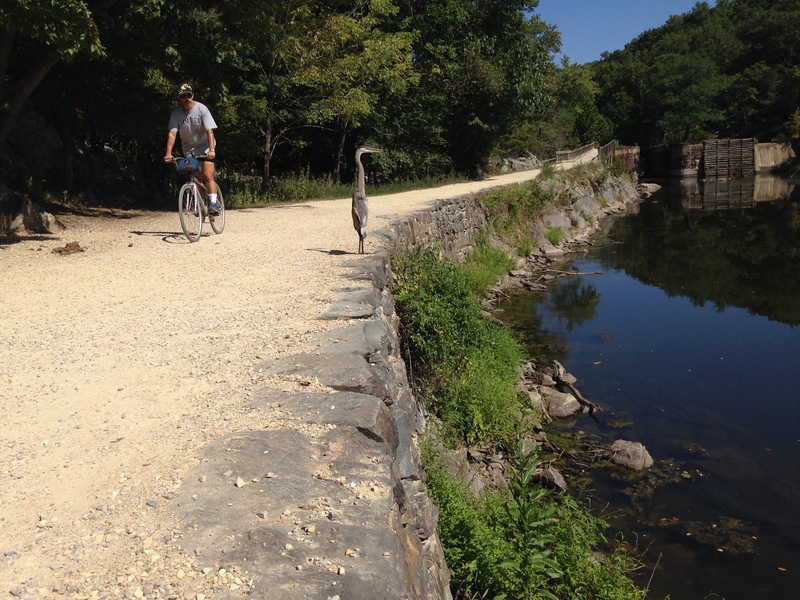 Great Blue Heron at the C&O Canal NHP. Wildlife Photography with an iPhone. Move slowly, be patient. This is my mantra when it comes to wildlife. And it is especially important when you’re without a telephoto lens! 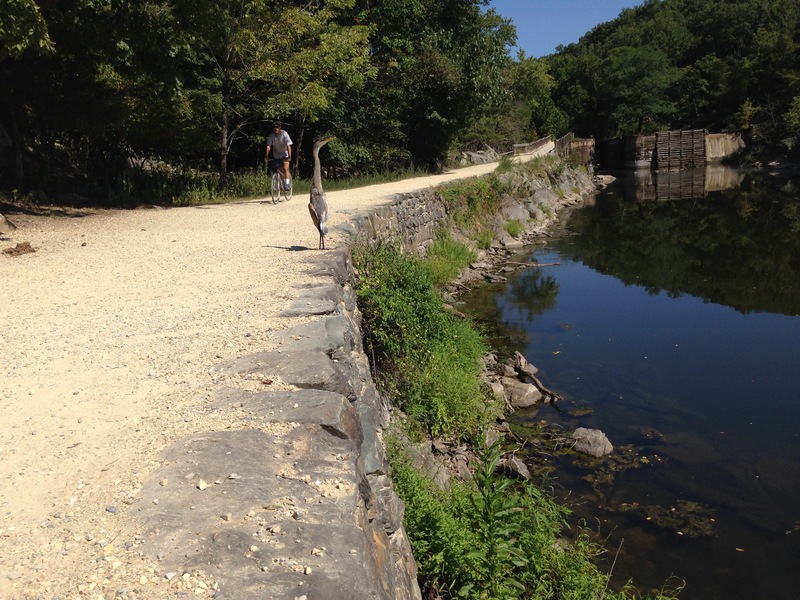 This morning as I walked along the C&O Canal towpath I saw a heron far up ahead as it landed on the edge of the trail. I was armed only with my iPhone so I thought I’d see how close I could get before it took off. And who knows, I thought, maybe it’ll fly in my general direction and I’ll get a shot as it soars past. This was my first photo. 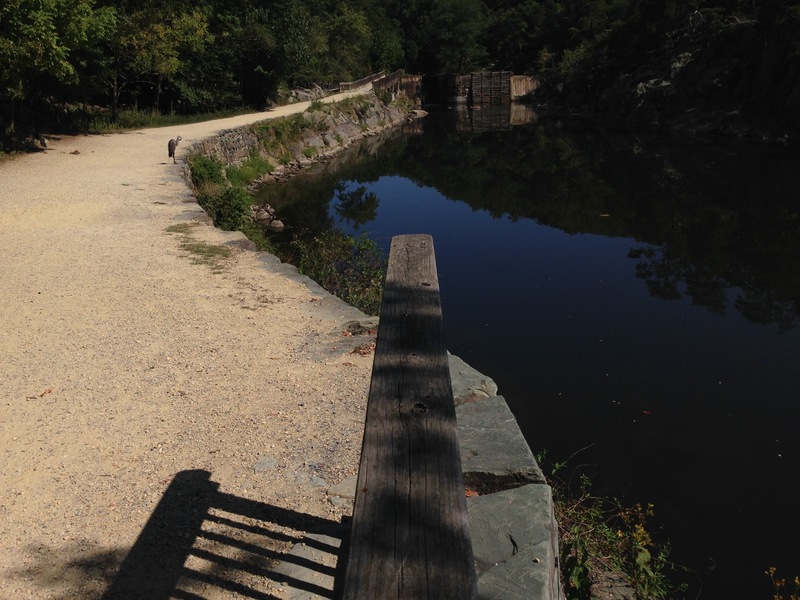 (I’ve edited out many more that were repetitious and didn’t add to the story) From this point on I closed in… little by little, pausing between each small step. Now it’s just getting ridiculous. I’m within 10 feet! It has to be feeling a little uncomfortable with this human’s presence, right? Surely you want to fly away! Apparently not. 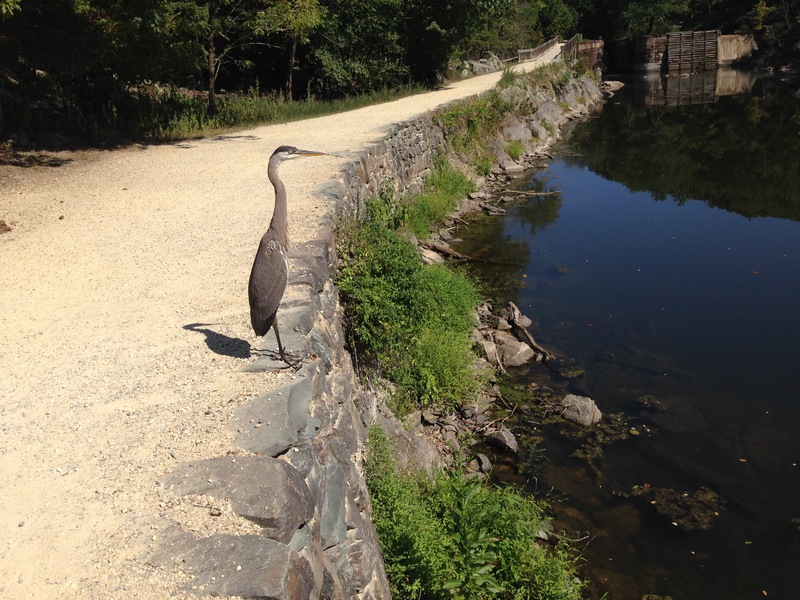 The heron simply saunters a few feet down the path and stops there. However, now a bicyclist is barrelling down the path toward us and I feel certain this will freak the bird out and send it on its way. Action shot to come! There. Much better. A groovy silhouette. From start to finish this took about 15 minutes. Slow, deliberate movements, a laid back bird, and constantly on the lookout for an interesting composition, I finally ended up with this. Not bad for an iPhone, I’d say. Good light and good shooting. 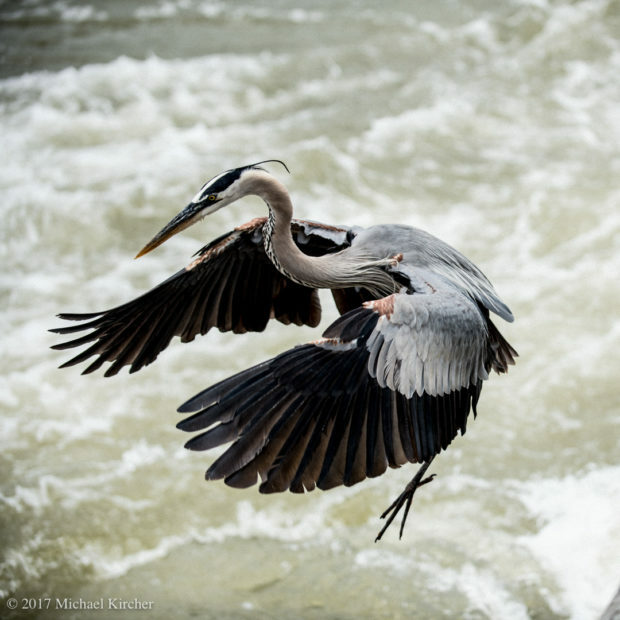 What are some of the more important things to consider for good wildlife photography? It’s not as complicated as some might think.